The historic site in occupied Feodosia is on the brink of destruction. 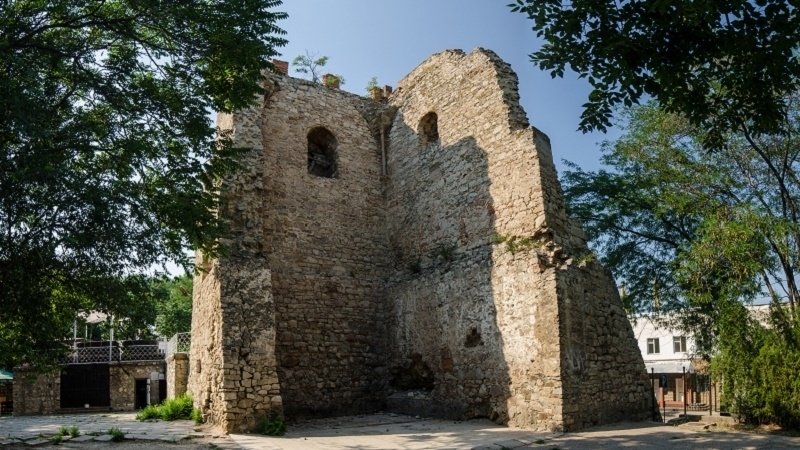 Local residents of Feodosia are dissatisfied with the restoration of the historic site - the tower of Constantine. A local collaborator and protector of the monuments of antiquity Aleksander Talipov reported on social network that the emergency works promised by the so-called Crimean authorities shocked everyone. “What did the "restorer" do with the wall, with masonry? The seams were tightened with modern gray cement? Is that the way to restore a historical object? Maybe the wall should be also leveled out and plastered?” Talipov wrote. Earlier it was reported that the authorities of Feodosia are considering a project for the construction of multi-storeyed houses in a protected zone - the Tihaya Bay in Koktebel.